Over on Lair of the Uber Geek, a recent trip to the Mariners Museum has sparked a pictorial post with photos galore! See more here. 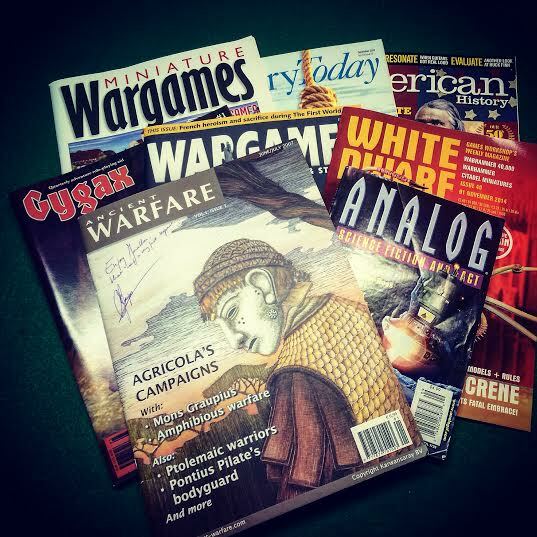 Also, on wargamingforums.com, the Wargaming Recon podcast, episode #139, focuses on "Magazines for Wargamers" and it might not be what you'd expect. Listen up here. Finally, on wargamesillustrated.co.uk, their giveaway states "To celebrate hitting 6,000 Facebook likes, we are giving you the chance to win this huge bunch of gaming goodies!" Join in the fun here.